The purpose of this book is to inspire leaders, gatekeepers and decision makers in the global church to think outside the box about the creative possibilities God gives us to communicate his Word orally. We especially want to stimulate the innovative energies of young people to use their gifts of oral communication to mirror the beautiful and diverse ways that God communicates with us. We don’t want Christians to feel limited by a cultural dependence on text when communicating who God is to others. Fully recognizing the power and authority of God’s Word throughout history, we want the Church to be liberated to see the God of the Bible as the greatest communicator of all, the Master Storyteller, and to conduct ourselves accordingly. Specifically, the introduction challenges us to consider why we need to focus on oral communication and not just text. 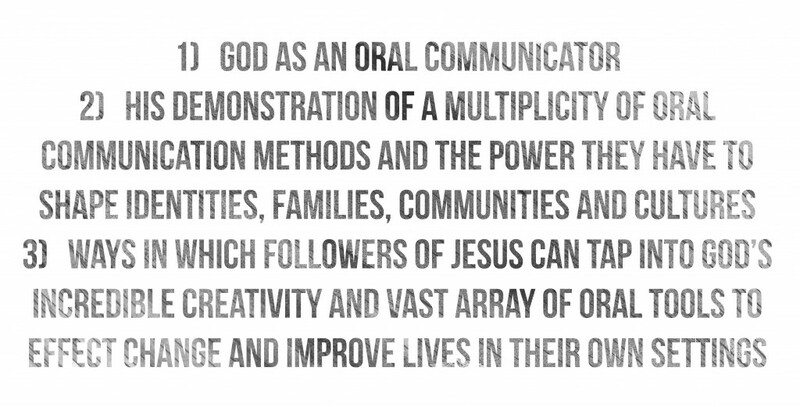 Chapter one explores how God is an oral communicator through his living Word. 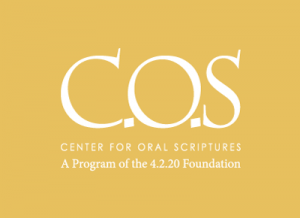 Chapters two through eight illustrate the range of oral methods and media God uses to communicate his relationship with us throughout Scripture. Chapter nine is a call to use these methods God has given us and to create with God, as his story is enacted through us. The epilogue then addresses critical issues to make it possible for all oral learners to engage with God’s Word. Master Storyteller is more than a printed book. Each of the three themes of the book is accompanied by a short film. Links to these films are embedded in the text and are an integral part of the content. For best understanding and presentation, it is intended that each film be initially viewed only at the point the reader comes across it within the body of the book. Further, an interactive digital learning platform has been designed to facilitate personal and communal growth. Discussion questions, additional resources, and eventually further audio and video components will enable a growing dialogue. A team has contributed to the writing of this book as well as the accompanying short film productions and digital media platform. David Swarr serves as Executive Director of International Orality Network (ION) and is President and CEO of 4.2.20 Foundation. He previously served on the leadership team of ION and stewarded the Audio Scripture Engagement portfolio. David was also a founder, President and CEO of Davar Partners International, an audio Scripture engagement organization with over 600 partner organizations in 90 nations. David grew up in the Middle East and speaks fluent Hebrew. He has a rich background in cross cultural leadership and holds a PhD in intercultural organizational leadership. Currently, David and his wife split their time between Israel and the United States. 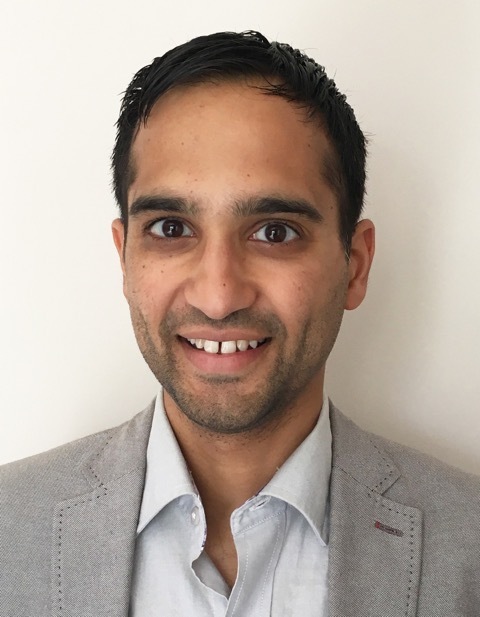 Ricki Gidoomal serves as Chief of Staff of 4.2.20 Foundation and as Senior Associate of Communications for the International Orality Network. He produced the Master Storyteller film trilogy that accompanies this content. He holds an MA in Russian & Linguistics from the University of Oxford, with specialization in Ancient Dialect and Second Language Acquisition. 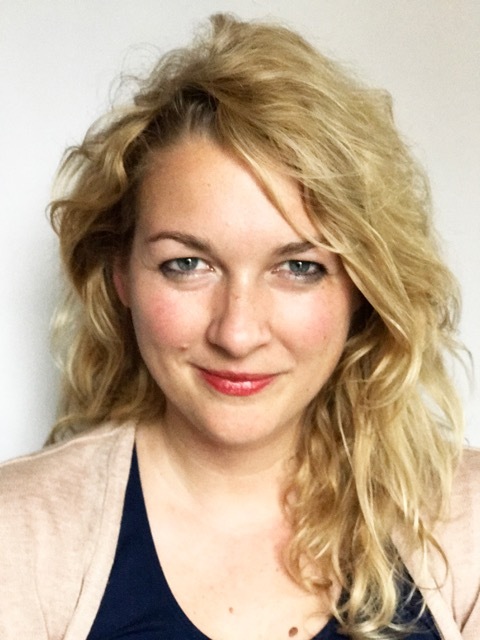 Ricki also facilitates the Lausanne Younger Leaders Generation (YLGen) Orality Interest Group and serves on the Lausanne Technology Issues Network. 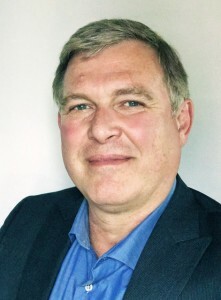 Ricki grew up in the United Kingdom and currently lives in Israel with his family. Psalm Araujo works as Creative Director of Communications and Special Projects of 4.2.20 Foundation. She directed the Master Storyteller short film trilogy, all filmed in Israel. She holds a degree in Interdisciplinary Studies from Wheaton College, combining Film, Media, Communication & Culture, with additional studies at Hebrew University. She has experience in music, acting and directing both in theatre and film in Hong Kong, Israel, and the United Kingdom. She is also a singer song-writer with two albums, Story and Waking up the Storm. Psalm grew up between Israel and Richmond, Virginia, and currently travels between the two with her husband. While we represent different backgrounds, what we share in common is extensive exposure to the land of the Bible and to Hebrew language and tradition. This has been the seedbed out of which this production has grown. Some of the chapters are written predominantly by one author while other chapters have contributions from all three. We would also like to thank Sharon Swarr, Arielle Swarr, Joni Chiang, Stan Horst, and Mary Katherine Stender for their excellent editorial and proofing work. Thanks also to Joni Chiang for creating the graphics. We have not attempted to make this a comprehensive biblical or historical study. Rather, our purpose is to open windows through which to view God as the master oral communicator who sets the example for what we too can do under the creative direction of the Holy Spirit. Our hope is that as you apply the principles in this book you will add your stories to the conversation. We hope you find this book useful to yourself and your communities as a source of inspiration and discipleship.